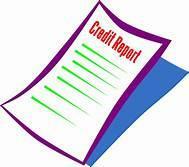 As you know, your credit report and your credit score play a pretty critical role in any of us getting a loan. I think the thing that is most important for us to understand, though, is that there are now a number of different reports and scores available. Where we used to refer to this traditional FICO score now has become a consumer score but is doesn’t have quite as many protections to it. The first thing that we want to understand is that there is a scoring formula. The lender can use a number of different parts and pieces depending on the type of loan. So it’s important for you to understand when you go into a lender that you are very clear about what you are borrowing the money for. In the case of shopping for a loan, it’s really important for you to understand where the source for the scoring is coming from. Typically if you are talking to a lender they are going to use one of the three main credit reporting bureaus. Unfortunately, as consumers, if you have sourced your score through one of the consumer scoring entities you may be a little disappointed and a little frustrated with the end result and wonder why you aren’t getting the kind of loan that you thought you were capable of getting based on the score that you were given. So keep in mind that when you source a consumer score, recognize that it may not be the one that the lender is going to use to put a loan in place for you.